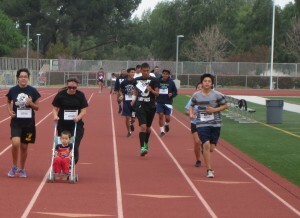 3/22/2014: Ramona Campus Chapter’s Lap-A-Thon Raises $3K! 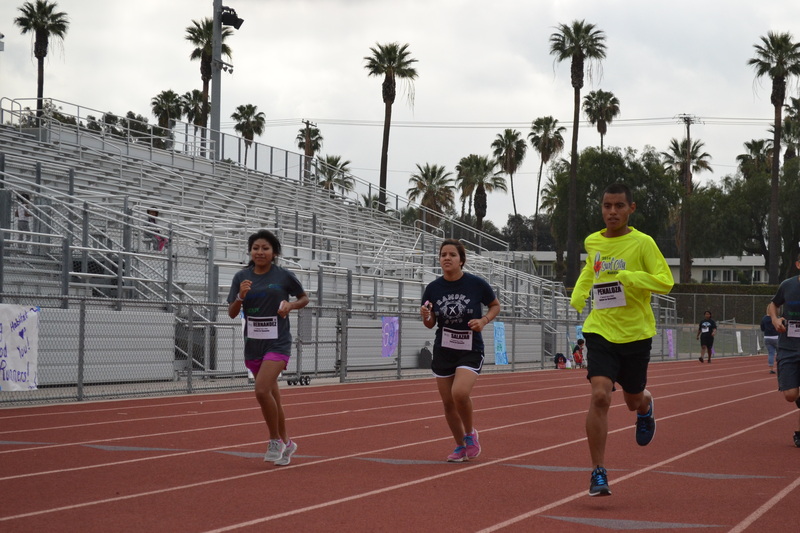 Home » 3/22/2014: Ramona Campus Chapter’s Lap-A-Thon Raises $3K! 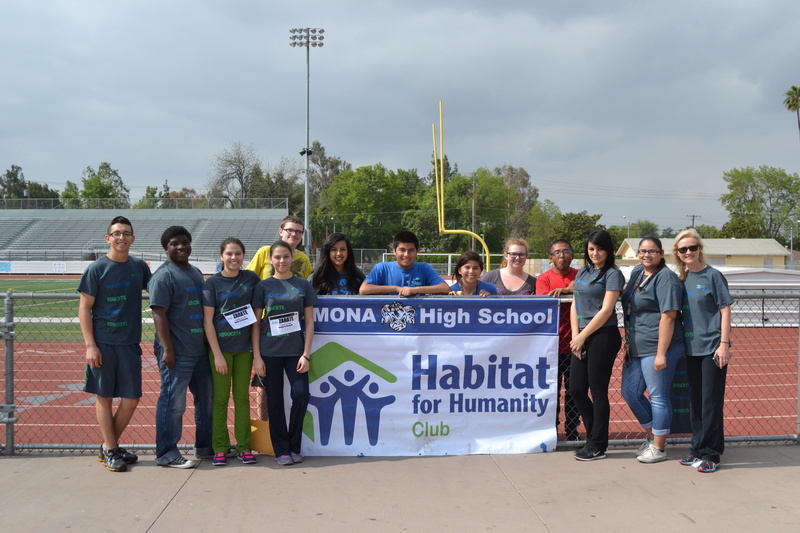 Posted by AmeriCorps in A Brush with Kindness, Ramona HS Campus Chapter | Comments Off on 3/22/2014: Ramona Campus Chapter’s Lap-A-Thon Raises $3K! 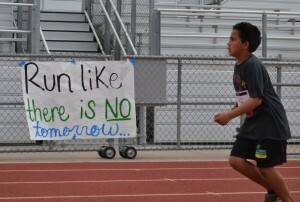 Saturday March 22nd, the students of Ramona High School in Riverside were on the track and field bright and early, setting up for the 2nd annual lap-a-thon. Students from the Ramona Habitat for Humanity Campus Chapter have organized and supported the event to raise funds for Habitat for Humanity Riverside’s A Brush with Kindness program which helps seniors, veterans, and disabled homeowners make repairs to the exterior of their mobile homes. The event was a great way for future Habitat Partner Families, students and teachers to come together and combine their efforts for a great cause. Over 80 runners, joggers, and walkers arrived at 9am, crowded around the registration booths, eager to begin their hour long laps. For several weeks prior to the event, students were encouraged to sign up and compete with one another to see who could raise the most money through pledges from family and friends. Pledges could be for a lump sum or a set amount per lap completed. Sponsorships ranged anywhere from $.50 a lap to $5.00 a lap. 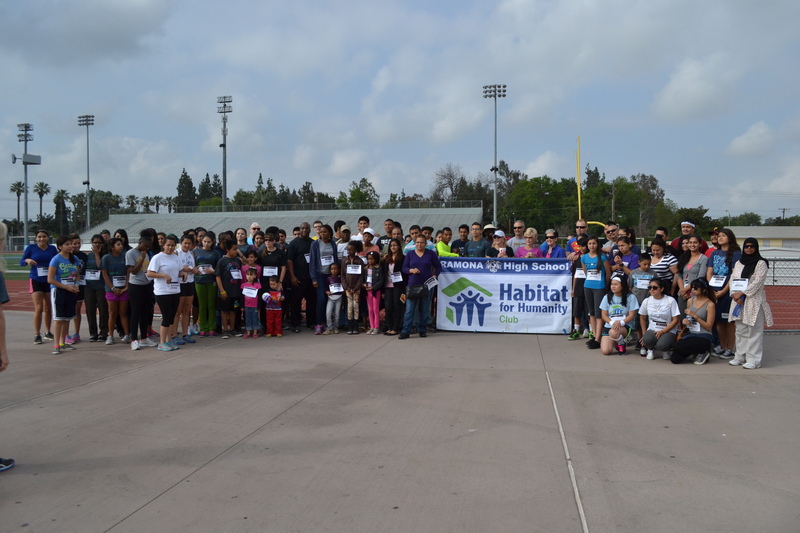 Our very own Habitat Partner Families also attended along with their younger children who ran beside them. Habitat staff Luis, Sim and AmeriCorps Members Daniel and Azhar showed their support by wearing matching outfits including headbands, wristbands, blue running shorts and long running socks. They each completed 10 or more laps. As the participants came around each lap, volunteers marked their name badges to keep track of the number of laps they completed. A few Habitat Partner Families were in the bleachers dancing, cheering and motivating everyone to ‘go that extra mile’… literally. Their enthusiasm worked, as 1,038 laps were completed that day; 788 laps by the students and teachers and 250 by the habitat partner families. 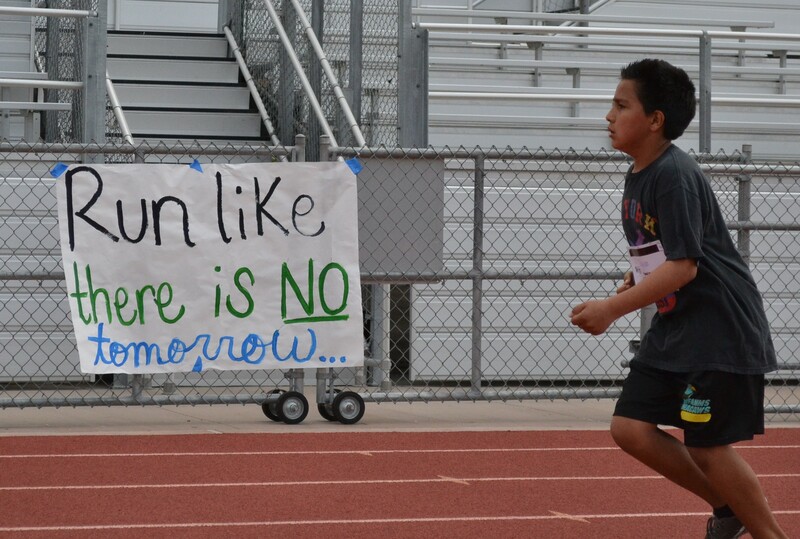 Alongside the track, students had hung hand painted posters “Keep H4H Running” and “You’re Running for a Cause #homesforall” which kept the participants focused and motivated. 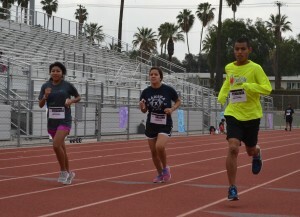 As the countdown began, the participants sped up their walking, jogging and running, eager to get their last lap in. 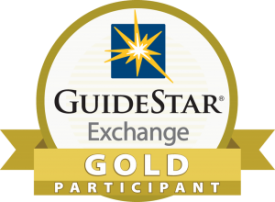 Once the hour finished each participant had their badges marked up, some had all 30 boxes marked off, which was evidence that they completed more than what was expected. As the students and participants walked off the track, they congregated around the fresh sliced oranges and snacks to rejuvenate and congratulate each other on finishing the lap-a-thon strong. The Ramona Habitat for Humanity Campus Chapter raised $3,000 which will be used by Habitat Riverside in the local area. Once again, the Ramona Habitat Campus Chapter exceeded everyone’s expectations for enthusiasm, energy, excitement and results.